I'm looking for any clumping black bamboo. 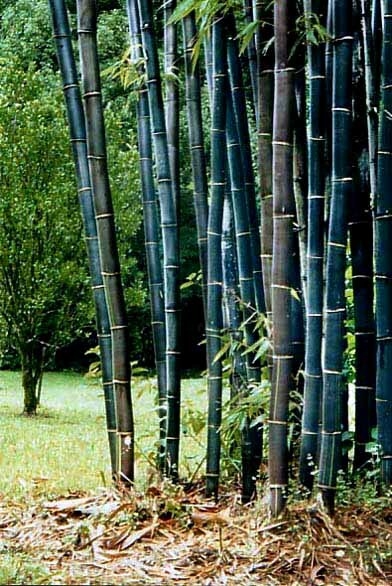 You mean like this Bambusa Lako? That is preferred but it seems hard to find so I am looking for any that are similar. Do you have any for sale Roy ? or are you teasing me ? I don't quite understand your original statement. Are you "looking" as in wanting to buy some or are you looking for "a" or "any" clumping bamboo? And in answer to your "any for sale" question, the answer is "yes, I do propagate and sell B. lako and some G. atro". I sent a PM I hope you get because its still in my outbox. I sent a pm to someone else a while ago but I had no response. I've got it and I'm responding now. Got all the Toys too! I wish the Lako would survive here... Boonuts division he sent me croaked at the hint of a chill here. I'll have to get another slice and turn it into a sunroom in the winter project. Have a slice of either of your blacks available?